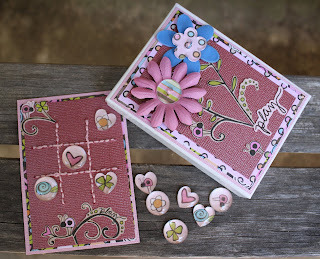 I can not get enough of the Epiphany Crafts epoxies...nice, thick, and oh so shiny!! !They are so much fun to play with I decided to make another tic-tac-toe game :) The fun papers are Heidi Grace-Regan's Closet. I used the Button Studio to make the center of the flowers. 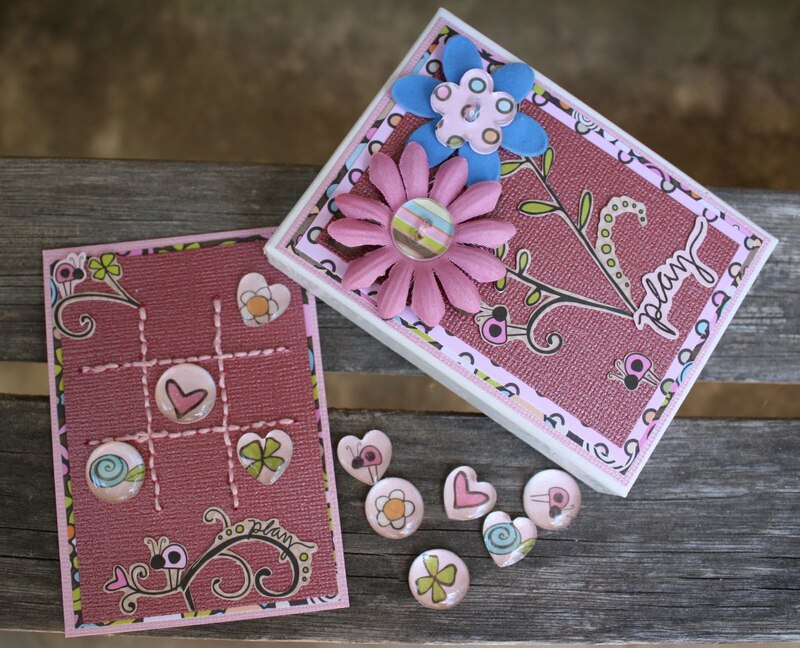 Love how easy it is to make matching embellishments! love the tic tac toe card!!! Super cute!